I asked for a Red Hook cocktail with Bulleit Rye, but the bartender suggested something else. A Red Car Named Desire is made with rye, luxardo, and cassis, with a peel of lemon. At first taste, it was too sweet for my liking, but it hit the back of my tongue with an intriguing spiciness before disappearing down my throat all together, as if I’d taken a sip of water. It was an interesting cocktail, with nuances on the tongue like you’d find in a good glass of wine. Tony’s Saloon is my favorite bar in Los Angeles due this kind of personalized service. With each beverage, they craft an experience tailored specifically to the customer. I also love Tony’s because of how comfortable I am sitting alone at the bar. This is one of my favorite activities, and I say so with absolute honesty. I’m not shy about sitting alone in bars, and I’ve done so at almost every type of place you can think of, from chic lounges in SoHo to the most divey, green-carpeted slime hole on San Francisco’s Van Ness Avenue. Despite my non-discriminating affinity for solo bar-going, there are times that I feel uncomfortable, once seated, as if all eyes are on the lonely girl at the bar, or as if all lonely guys seem to think I’m theirs to win. Not so at Tony’s. I can sit there undisturbed for hours, until I strike up a conversation with the bartender about his favorite whiskey, or a fellow patron chats me up about books or movies. 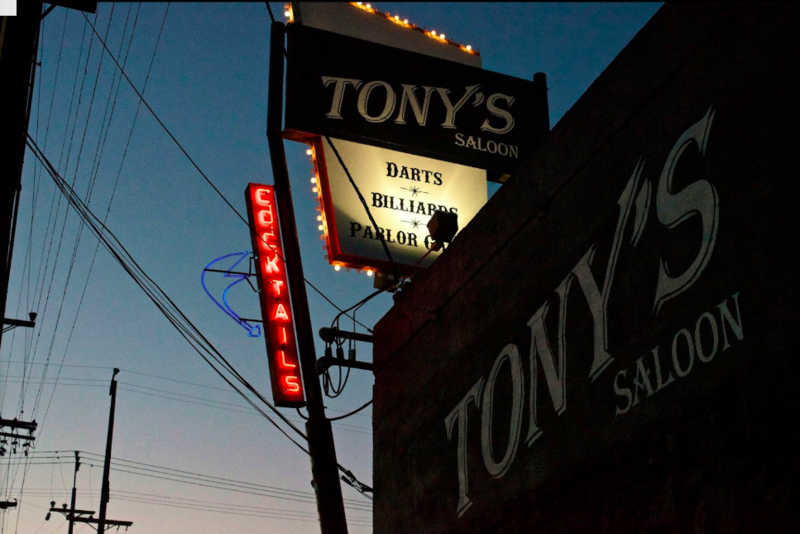 I’ve had many great conversations at Tony’s, over many a great cocktail. My only complaint about it is that it’s becoming more popular, however deservedly.